A six-year cooperation agreement concluded between FIFA and FIFPro on 6 November 2017 puts an end to protracted negotiations which began after the latter had filed in September 2015 a complaint with the European Commission, challenging the validity of the FIFA transfer system under EU competition law. This agreement, together with an accord reached between FIFA, FIFPro, the European Club Association, and the World Leagues Forum under the umbrella of the FIFA Football Stakeholders Committee, should help streamline dispute resolution between players and clubs, avoid abusive practices in the world of football, or contribute to the growth of professional women's football. In addition, the FIFA Football Stakeholders Committee is now expected to establish a task force to study and conduct a broader review of the transfer system. As part of the deal, FIFPro agreed to withdraw its EU competition law complaint. It is fair to say that human rights have been at the forefront of FIFA's agenda in 2017. Following the establishment of the Human Rights Advisory Board in March and the adoption of the Human Rights Policy in June this year, in November FIFA published the bidding regulations for the 2026 World Cup. 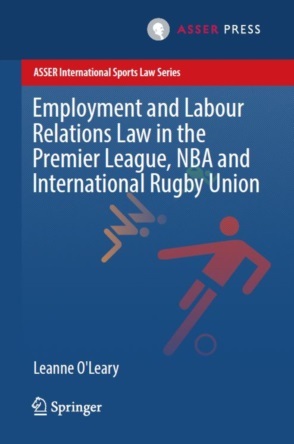 Under these new regulations, member associations bidding to host the final tournament shall, inter alia, commit themselves to respecting all internationally recognised human rights in line with the United Nations Guiding Principles on Business and Human Rights or present a human rights strategy on how they intend to honour this commitment. Importantly, the human rights strategy must include a comprehensive report that is to be complemented and informed by a study elaborated by an independent expert organisation. Moreover, on 9 November 2017, the Human Rights Advisory Board published its first report in which it outlined several recommendations for FIFA on how to further strengthen its efforts to ensure respect for human rights. While all these attempts to enhance human rights protection are no doubt praiseworthy, they have not yet produced the desired effect as reports of gross human rights abuses linked to FIFA's activities continue to emerge. Most recently, Human Rights Watch documented how Russian police arrested a newspaper editor and a human rights defender whose work focused on exposing World Cup-related corruption and exploitation of migrant construction workers. On a more positive note, a bit of hope comes with the announcement by a diverse coalition, including FIFA, UEFA, and the International Olympic Committee, of its intention to launch a new independent Centre for Sport and Human Rights in 2018. Editor’s note: Josep F. Vandellos Alamilla is an international sports lawyer and academic based in Valencia (Spain) and a member of the Editorial Board of the publication Football Legal. Since 2017 he is the Director of the Global Master in Sports Management and Legal Skills FC Barcelona – ISDE. I think we would all agree that the reputation of players’ agents, nowadays called intermediaries, has never been a good one for plenty of reasons. But the truth is their presence in the football industry is much needed and probably most of the transfers would never take place if these outcast members of the self-proclaimed football family were not there to ensure a fluid and smooth communication between all parties involved. For us, sports lawyers, intermediaries are also important clients as they often need our advice to structure the deals in which they take part. One of the most recurrent situations faced by intermediaries and agents operating off-the-radar (i.e. not registered in any football association member of FIFA) is the risk of entering in a so-called multiparty or dual representation and the potential risks associated with such a situation. The representation of the interests of multiple parties in football intermediation can take place for instance when the agent represents the selling club, the buying club and/or the player in the same transfer, or when the agent is remunerated by multiple parties, and in general when the agent incurs the risk of jeopardizing the trust deposited upon him/her by the principal. The situations are multiple and can manifest in different manners. Editor’s Note: Saverio Spera is an Italian lawyer and LL.M. graduate in International Business Law at King’s College London. He is currently an intern at the ASSER International Sports Law Centre. Editor’s note: Serhat Yilmaz (@serhat_yilmaz) is a lecturer in sports law in Loughborough University. His research focuses on the regulatory framework applicable to intermediaries. 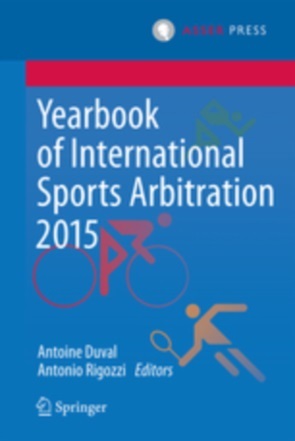 Antoine Duval (@Ant1Duval) is the head of the Asser International Sports Law Centre. Editor's note: Adriaan Wijckmans is an associate specialized in sports law at the Belgium law firm Altius. In a recent judgment, the Brussels Court of First Instance confirmed the legality of a so-called surety undertaking, i.e. an agreement in which the parents of a minor playing football guarantee that their child will sign a professional contract with a football club as soon as the child reaches the legal age of majority.